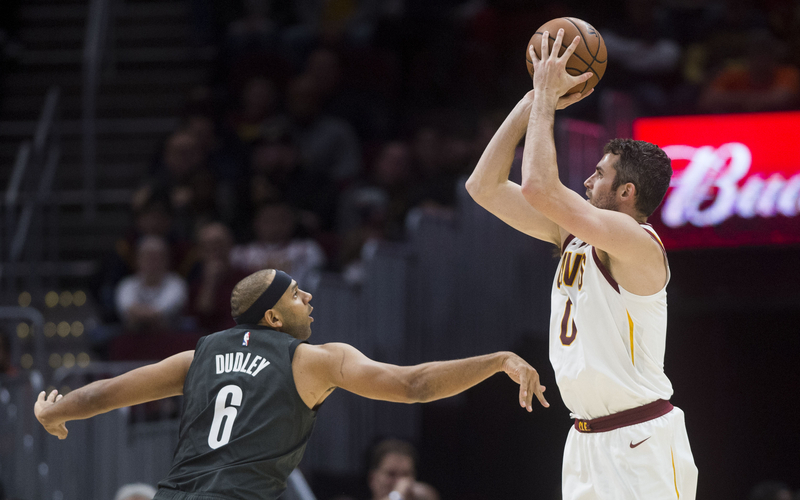 After missing nearly four months due to a toe injury that required surgery, Cleveland Cavaliers power forward Kevin Love is going to be game-time status for Friday night determined after shootaround, with the Cavs traveling to the nation’s capital to take on the Washington Wizards. #Cavs Kevin Love may play tonight against Wizards. Team wants to see how he feels after shootaround. But it looks very promising. Love has only played four games this season, averaging 19.0 points, 13.5 rebounds and 3.5 assists per game while shooting 32.3 percent from the field, 29.2 percent from three-point range and 81.8 percent from the free-throw line. For his career, the five-time All-Star has averaged 18.3 points, 11.3 rebounds and 2.3 assists per game while shooting 44.3 percent from the field, 37.0 percent from three-point range and 82.4 percent from the free-throw line. If Love should be available, he’ll provide an instant boost to their rebounding (Cleveland is averaging 42.3 rebounds per game, ranked 25th in the NBA), three-point shooting (Cleveland is converting 9.3 three-point attempts per game, 30th in the NBA), inside-out play and confidence. "Our guys will be absolutely ecstatic to have him back." He’s a dynamic frontcourt force who the Cavs can rely on for go-to buckets and if they had him all season, they certainly wouldn’t be so down the Eastern Conference standings. It’s unclear how Love’s return will effect the starting lineup, especially in light of Cleveland trading two starters in guards Rodney Hood and Alec Burks to playoff-contending Western Conference teams. Young cornerstones in rookie point guard Collin Sexton and second-year forward Cedi Osman will likely continue to be in the team’s starting lineup, with Osman moving back to his natural position of small forward. However, though veteran center Tristan Thompson still continues to be out with a foot injury, Cavs head coach Larry Drew may choose to put a more mobile big man — like fan favorite Larry Nance Jr. — beside Love in the frontcourt. As far as the team’s starter at shooting guard, Drew is likely to go with defensive-minded wing David Nwaba. Nwaba would not only provide relief for Sexton and the Cavs in their ability to guard the opposing team’s best perimeter player (in Washington’s case, Bradley Beal). Love will have his hands full on Friday should he return, with the Wizards revamping their frontcourt at the trade deadline by acquiring the ever-active and athletic Bobby Portis along and the offensive-minded Jabari Parker in exchange for three-and-D forward Otto Porter. However, it’ll be a worthwhile experience for all involved, as Love gets the opportunity to knock some rust off and the Cavs get the chance to see how Love looks after missing half of the season.